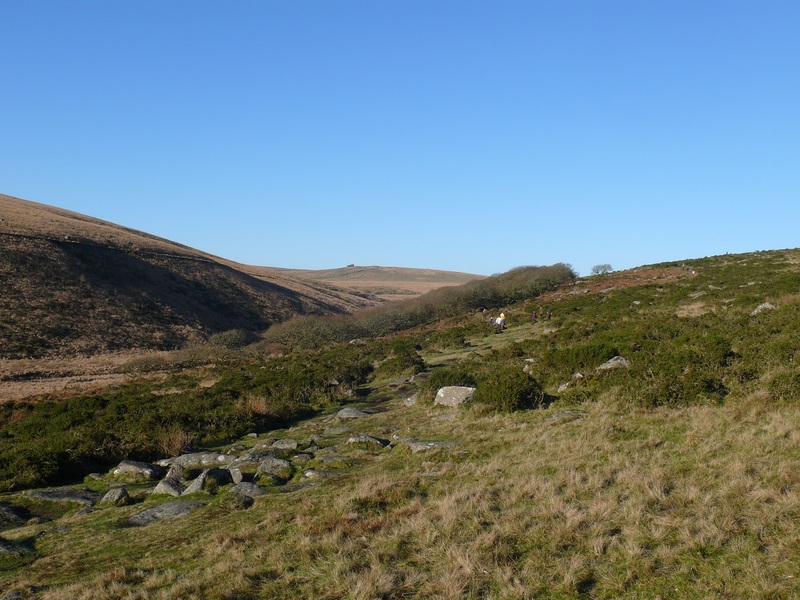 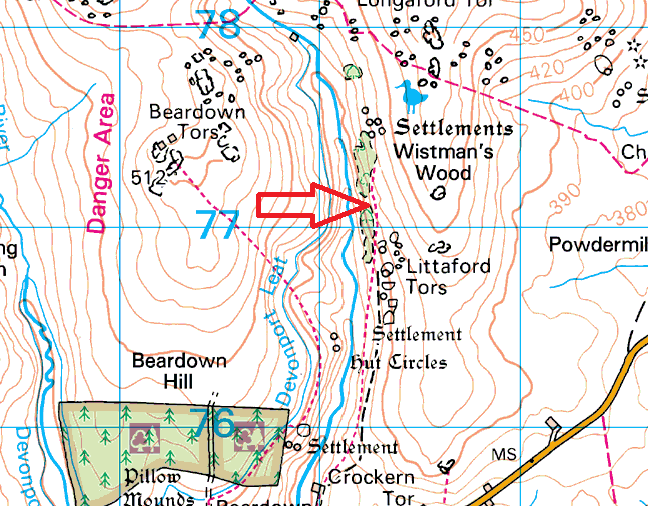 Wistman’s Wood is one of only 3 high-altitude oak woods on Dartmoor, it lies in the West Dart valley near to Two Bridges, with a good path from the Two Bridges car park straight to it. 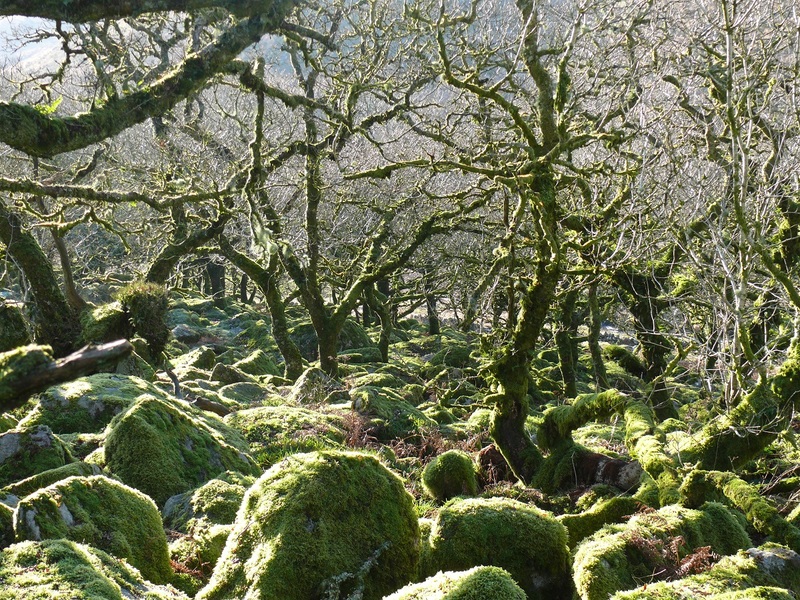 Large granite boulders covered in moss sit in between and beneath small oak trees, their gnarled forms casting shadows and creating fantastic shapes and shadows. 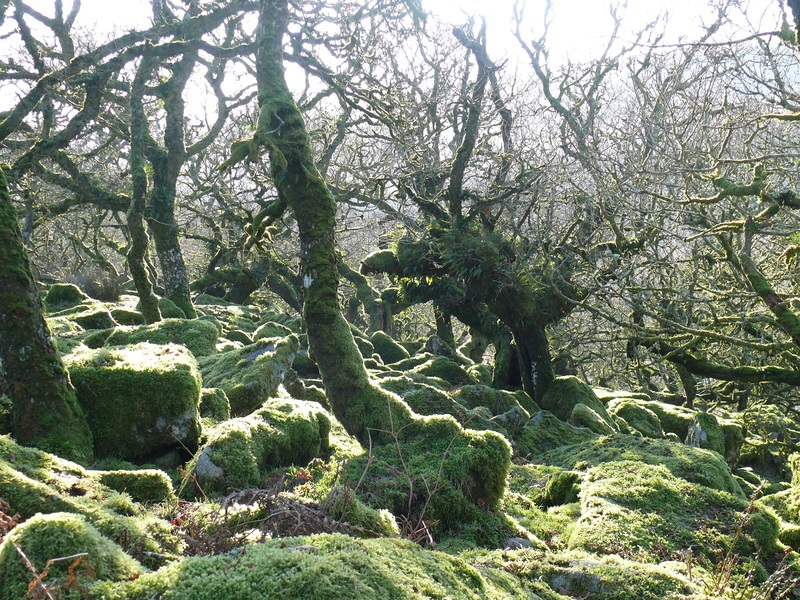 The oldest oaks within the wood appear to be between 200 and 400 years old.